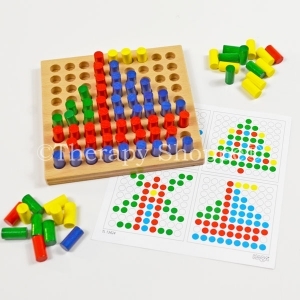 This fun pegboard educational toy offers possibilities too high to count! 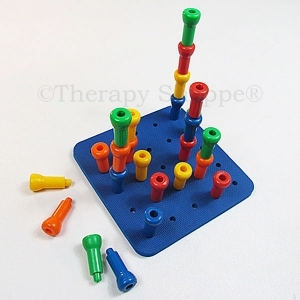 Sort the pegs, stack 'em, see how tall they go... translate marbles from palms to fingertips–then put them on matching pegs... add rubberbands for a geoboard. 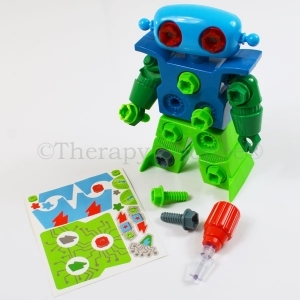 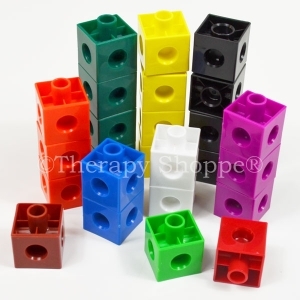 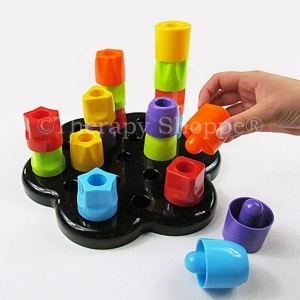 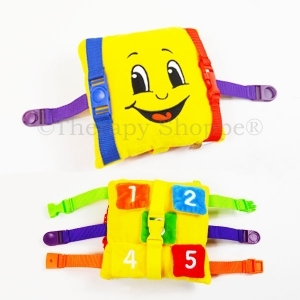 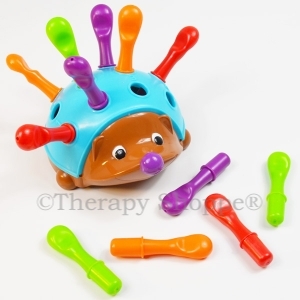 A wonderful fine motor skills activity toy for school classrooms, home play, or occupational therapy activities. 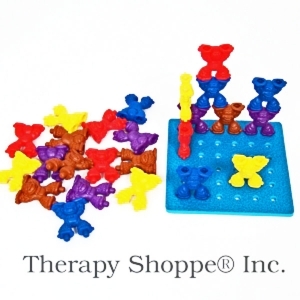 Our Stacking Peg Kit is a terrific basic pegboard play set that includes 20 pegs and a wavy 8" board.